Marcela--BRAVO!! this is quite an accomplishment and it is just gorgeous!! I have to admit that although I designed all my own elements for my website, I got lost in the cornflakes of the template html, so I had to have someone else write the code and put in all my elements....You go girl, it is obvious you love graphic design!! your new site looks terrific - good on you! and I still love those crown pillows! I am learning and I hope that I have done this right. I always enjoy reading the blogs. It looks awesome Marcela!! I had such fun exploring it. I have posted my blog because I did the background and banner myself using Photoshop! It has taken me over a year to learn photoshop and with tips from friends and trial and error I have accomplished it and I am VERY PROUD of myself. 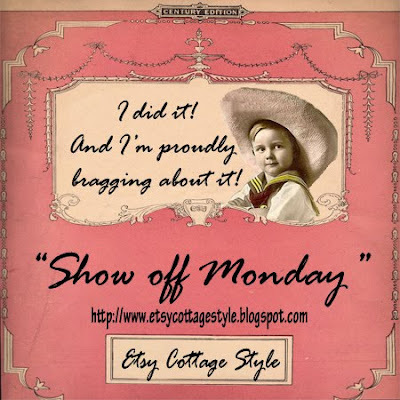 I even got my last digital collage posted on Etsy Cottage Style !! It is called "My Secret Garden"
Horray!! I finally did it! I think all of us adults who were not born with the computer know-how chip in our brains and have struggle to teach ourselves about computers should celebrate our curiousity, our strength of will, our patience, and our unfailing love of art. After all it it is these attributes that keep us going and make life rich! I love computer graphics! Yeah! 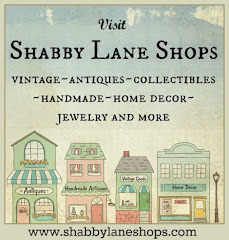 Thanks for stopping by to take a look at my blog and for the kind words. That was a great idea! How fun to see what everyone is working on! Thanks a bunch!!! Hi Marcela...I am so sorry I missed this!! I have been getting my new website off the ground & stocked and have been off in some other world. I am going to do a better job of staying in touch.